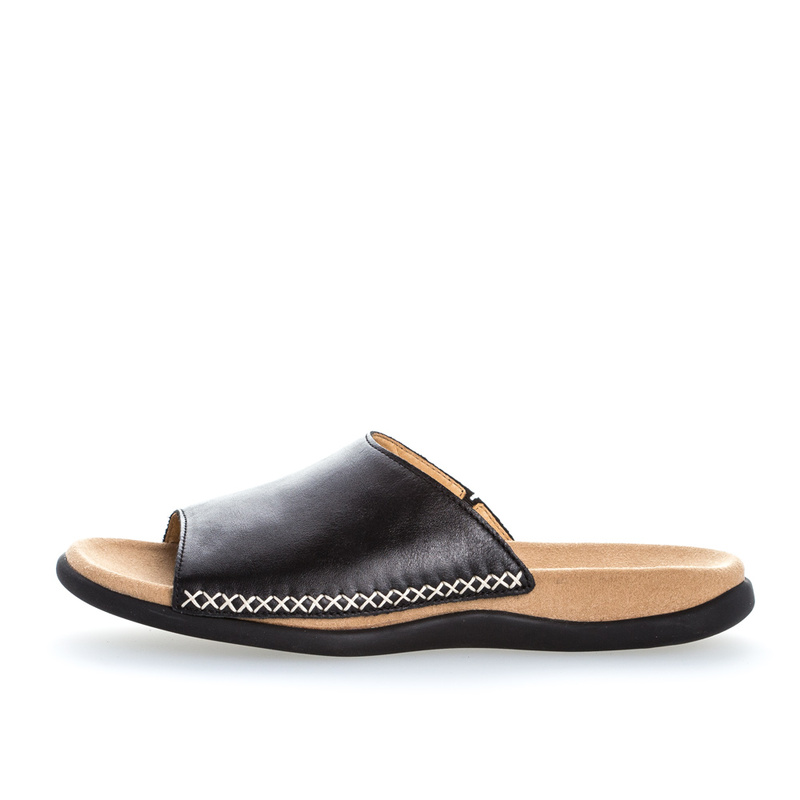 Super comfortable, sporty women’s mule – this Gabor sandal is a casual women’s leather sandal with a soft cushioned contoured footbed for all day comfort. The leather material provides a healthy climate for the feet and the comfortable footbed and flexible padded outsole provide a great fit. Large size Mule Sandals and shoes for ladies size 9, size 10, size 11 and 12 (UK), in 43, 44, 45, 46 (Euro) and in sizes 11, 12, 13, 14 (US). Fashionable, Elegant and Beautiful ladies Sandals and footwear for larger size feet.